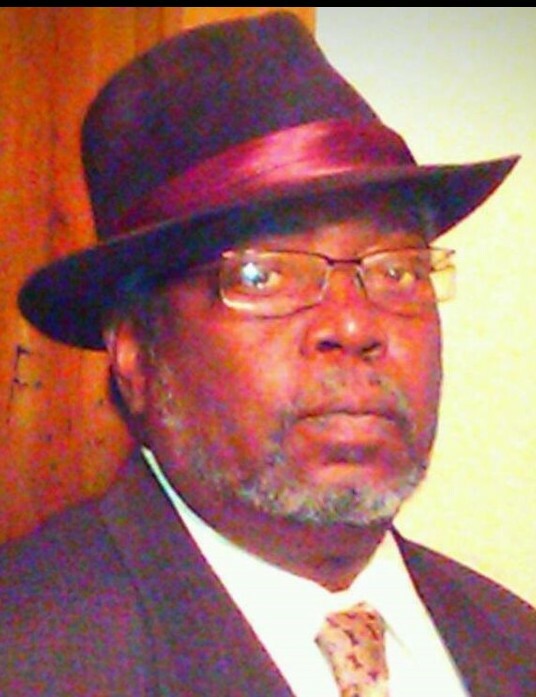 Pastor Wesley L. McCoy Sr. 64, of 1325 Mckaig Ave, Troy, Ohio went home to glory on Saturday, October 20, 2018 in the comfort of his home. He was born on November 20, 1953 in New Madrid, Missouri to the late James Watson McCoy and Christine (Lott) McCoy White. Pastor McCoy is survived by his wife Jewelettia (Jewel) McCoy, and thirteen children Chadd (Knova) Williams of Fairborn, Chanda McCoy and Wesley McCoy both of Troy, William (Melanie) Moton of Troy, Katrena (Craig) Wallace Sr. of Dayton, Andrew Moton and Alexander (Linda) McCoy of Troy, Nate (Derise) Washington of Indianapolis, Devante Chambers and Quinton Hackett of Toledo, Aaliyah (Jesse) Browning of Troy, Joshua McCoy and Tyreek Parker of Troy, forty-one grandchildren and twenty-one great-grandchildren. He also leaves to cherish his memory his siblings Sammy McCoy of Peekskill, NY, Rev. William (Cindy) McCoy of Jacksonville, NC, Kelly McCoy and Debra McCoy of Troy, Pastor Tommy (Mary) McCoy of Fort Worth, TX, Gloria (Michael) Coyle of Noblesville, IN, Terry (Amy) McCoy of Piqua, Minister Keith (Jennifer) McCoy Sr. of Fuqua-Varina, NC, and Annie (Murphy) Frazier of Troy, along with a host of nieces, nephews and other relatives. He was preceded in death by his parents, his second wife Pastor Jacque, seven brothers James, Willie C., Johnny, James, Pastor Robert “Bob”, Charles, Watson and one sister Velma. Pastor McCoy was an elder of Triumphant Ministries in Dayton. He was pastor and co-founder with his late wife Jaqueline of the former Agape Ministries one of the most unique and fastest growing ministries in an area that historically had been one of racial and cultural intolerance. Agape birthed Greater Grace, a 12-step program for drug addiction deliverance. Also, Ezra Bible College a training ground for Disciples of Christ. Additionally, they established Jireh Hot meals and the Joseph Pantry the first programs in the city of Troy to combat hunger. Pastor McCoy was previously on the City Council of Troy as the minister of Peace. In 1999 Pastor Wesley & Pastor Jacque received the Troy Area Chamber of Commerce Service Award for its city-wide impact as a ministry. They also were presented with the key to The City by Mayor Jenkins. In 2002 they received the Humanitarian and Service to Mankind Award from The Troy Sertoma Club. Prior to returning to Troy to start Agape Ministries he was an assistant Pastor of the Freedom Church of Jacksonville, N.C. for 3 years. While serving there he helped establish a shelter for the homeless. Pastor McCoy preached the word of faith with boldness and humor. A funeral service will be held 11:00AM Friday, October 26, 2018 at Ginghamsburg United Methodist Church, 6759 S. Co. Rd. 25A, Tipp City, OH 45371. Visitation will be from 4:00PM-6:00PM on Thursday, October 25 at Fisher-Cheney Funeral Home, Troy. Interment will follow the funeral service Friday at Riverside Cemetery, Troy. Memorial contributions may be made to Triumphant Ministries, 1886 Needmore Rd. Dayton, OH 45414.